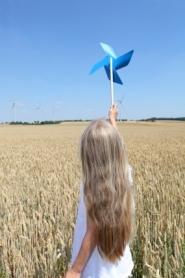 MS1 Energy is a wind development company that specialises in developing and managing medium sized wind turbines in association with landowners. An energy revolution is happening across the world, as fossil fuels become scarcer and more expensive, and countries try to move to new sources of power. The UK has a phenomenal wind resource that can make a major contribution to fighting climate change and energy insecurity, whilst creating jobs in local communities and raising significant revenue for landowners. MS1 Energy is committed to helping this revolution happen. We’re offering an opportunity to landowners who don’t have the money to invest in developing wind energy on their land, or who just don’t want to risk their hard earned savings on potential planning permission rejections. MS1 takes on this risk so that the landowner pays nothing, but receives significant benefits. If you are a landowner and interested in earning tens of thousands every year with no upfront investment from you, whilst helping both the UK and your local community, then see what we can offer, or contact us.